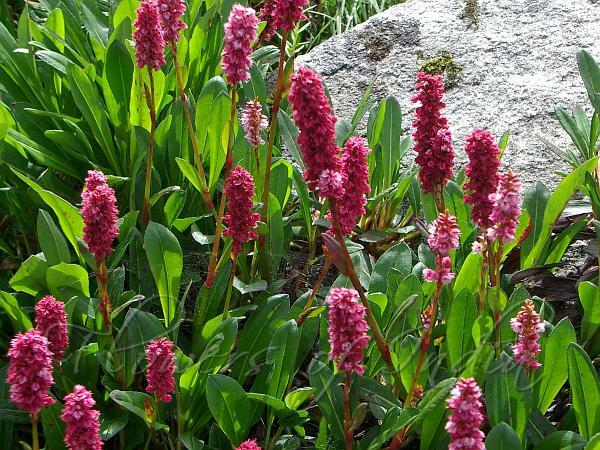 Himalayan Fleeceflower is low creeping densely tufted mat-forming alpine herb, with narrow elliptic leaves which are glaucous beneath, and with cylindrical spikes of many pale or deep pink flowers, borne at the top of short erect stems. Flower-spikes are 5-7.5 cm long, with densely crowded flowers. Stamens slightly protrude out of the flowers. Leaves are mostly at the base, 3-8 cm long, with the base narrowed to a short stalk. Leaf margins are entire or very finely toothed. The mid-vein is prominent. Flowering stems are several, 5-25 cm tall, with very few smaller leaves. 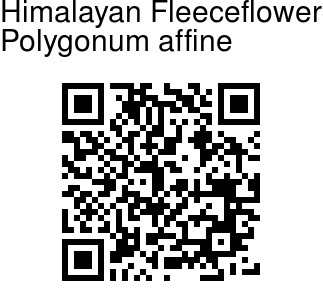 Himalayan Fleeceflower is found in the Himalayas, from Afghanistan to E. Nepal, at altitudes of 3000-4800 m. Flowering: June-September.